I enjoy working with Kevin – he is responsive, knowledgeable and turns around requests very quickly. I think that the service he provides, along with the rest of the team, suits our needs well. All meeting types, except for Single Source Services, include a periodic review of QuickBooks, corrections to the data entry as well as posting required journal entries to record various transactions (including fixed asset acquisitions, deprecation and amortization, new loans, and the interest paid on existing loans). You will be responsible for entering all of the collections, expenditures, and credit card transactions for your business, and for reconciling your accounts. 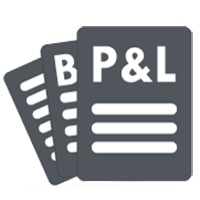 We will periodically print out the appropriate “management use only reports” from QuickBooks and review those reports with you. Following the end of each calendar quarter, we will either meet with you at your office or access your accounting information remotely. We will also look at your numbers in December to finalize your tax planning. We will either meet with you at your office or access your accounting information remotely four times during the year: prior to the due date of each of the quarterly estimates excluding the first quarter (June 15, September 15, and December 31st), and then in January or February to close your books. We will either meet with you at your office or access your accounting information remotely three times during the year: summer time for a mid-year review, November or December for year-end planning, and then in January or February to close your books. The Single Source Services option is appropriate for single owner/single employee practices that write very few checks each month in addition to a monthly payroll check to the owner.